Americans are eating out less and, more and more oft en, their food decisions are being driven by two main things: budget and health. EatingWell marries these two trends in the new cookbook EatingWell on a Budget . It shows you how to make nutritious dinners that everyone in the family will love and get them on the table quickly without spending more—in most instances—than $3 a person. We cost out the ingredients, tell readers how to get the most nutrition bang for their buck, and even show them where to splurge and where to save. A trademark of all EatingWell recipes and cookbooks: We don’t believe in sacrificing taste, so the recipes in this book include foods like shrimp and steak but, because we use them judiciously, they are affordable. 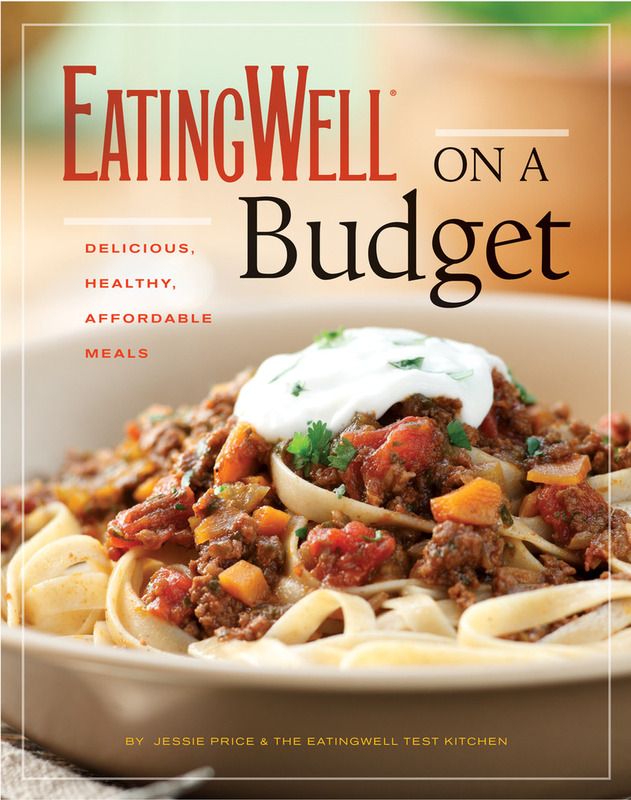 Introductory sections look at the basics of healthy cooking on a budget and offer lots of tips and advice on menu planning, stocking your pantry, and nutrition basics. There are also great suggestions for how you can save and reuse left overs, preserve foods, and use one ingredient in multiple fresh new recipes.